As an ensemble director, musician and scholar, Vladimir Ivanoff endeavors to mediate betweenthe theory and practice of music. Judaism, Christianity and Islam, past cultures and present time. which determine our perception of the Other and the Foreign. Ivanoff was born in Bulgaria, from where he emigrated to Germany as a young boy with his mother. Originally planning to become a film director, he decided to study musicology, art history and theater studies at the Ludwig-Maximilians-Universität in Munich. With a prize-winning thesis on the earliest lute manuscript, he received his doctorate in musicology. Simultaneously, he studied lute and historical performance practice at the Schola Cantorum Basiliensis and the Musikhochschule, Karlsruhe. on the musical exchanges between Orient and Occident in Venice. He also started lecturing at various European and American universities and conservatories. Ivanoff has published several books, contributes regularly to music journals and encyclopedias, lectures at international conferences and directs workshops worldwide. 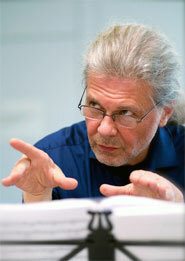 From 2011 to 2014 he was artistic director of the festival «Tonfolgen» in Bonn, Germany. 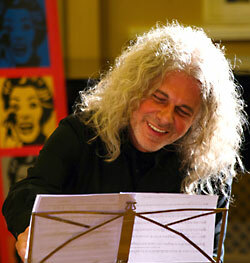 In 1988 Ivanoff founded Ensemble Sarband. With this group he has since been performing in concerts, scenic projects, radio, TV and CD productions all over Europe, Asia and the U.S. As a CD producer, composer and arranger he works with numerous artists from widely diverse backgrounds, amongst them: Mystère des Voix Bulgares, Concerto Köln, The King's Singers, Berlin Philharmonic Orchestra, RIAS Chamber Choir, and Sidi Larbi Cherkaoui. Ivanoff was nominated for two Grammy Awards in 1994. 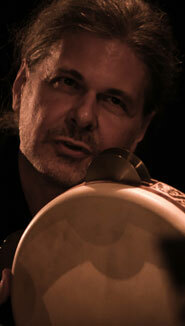 With Sarband, he received two Echo-Klassik CD Awards in 2003 and 2006. The Region of Apulia awarded him with the «Premio Mousiké» for the diffusion of Early Music in the Mediterranean in 2007. The following year he received the German World Music Award; 2017 the Baltic Grammy "Zelta Mikrofons". such as the Bulgarian master of transcultural encounters, Vladimir Ivanoff, has chosen as the mission of his life.